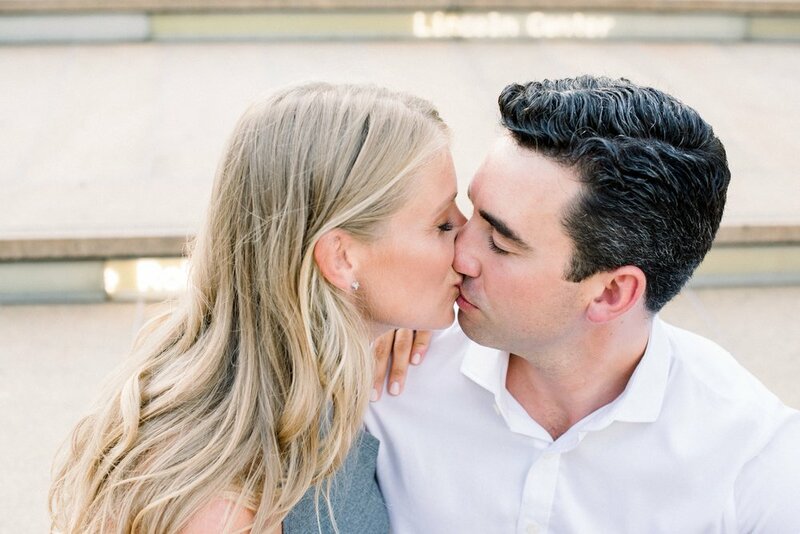 Colin and Deena got engaged in the Central Park overlooking the Bow Bridge in winter. They live in Upper West Side and always wanted a summer Engagement Photos. I had the pleasure of documenting their proposal and again their Engagement session over the summer. 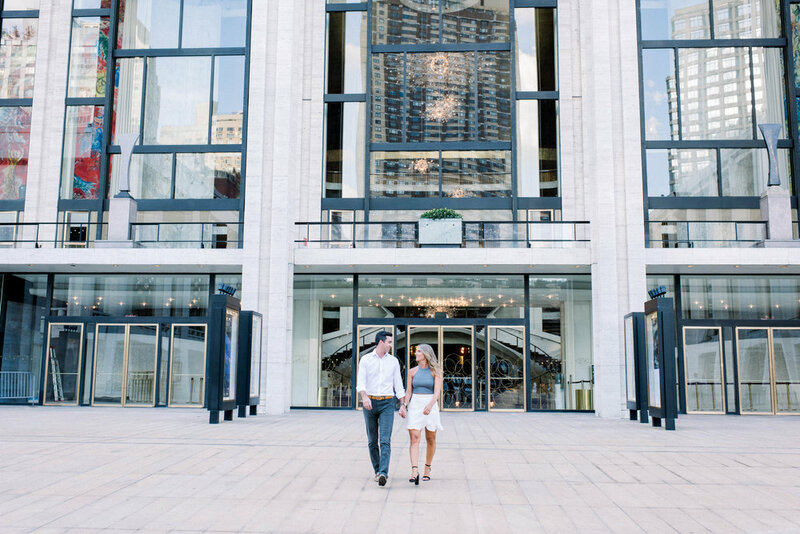 They chose the iconic Lincoln Center couple of minutes away from their home in UWS for the photos.